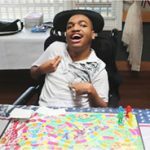 News – ©2019 United Cerebral Palsy Association of Greater Suffolk, Inc. 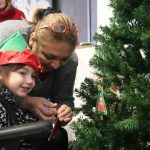 The Children’s Center held its annual Tree Lighting event on Wednesday , December 5th. Children and staff did an incredible job with designing the ornaments. Each student had the opportunity to decorate the tree with their personalized ornament. The Children’s Center started the first week of summer school with exciting and fun educational opportunities! Our students participated in movement and sensory activities: Flower & Butterfly Sensory Station, Lights & Dancing Station and Drum/Guitar Circle Station! Other days were filled with fun and learning by participating in a sensory projects and exercising their motor skills! 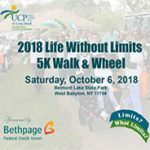 United Cerebral Palsy of Long Island will host its annual Life Without Limits 5K Walk & Wheel and celebrate World Cerebral Palsy Day at Belmont Lake State Park on Saturday, October 6, 2018. 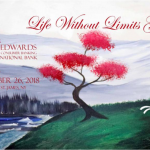 Proceeds from the Walk & Wheel support vital programs and services such as education, employment and residential services; geared towards advancing the independence, productivity and full citizenship of people with disabilities. The Children’s Residential Program incorporates residential and educational growth to nurture the development of the children we serve. The children live in accessible and comfortable homes supported by an interdisciplinary team that monitors their needs. 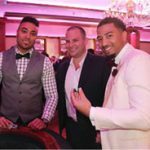 attendance and thanks to their generous support, over $125,000 was raised. Injury and Epilepsy. Join us by celebrating and spreading awareness!